This is a very clean and well-kept facility. The bathrooms are incredible and worthy of a 10. Helpful office attendant. Would definitely recommend this as a stop. 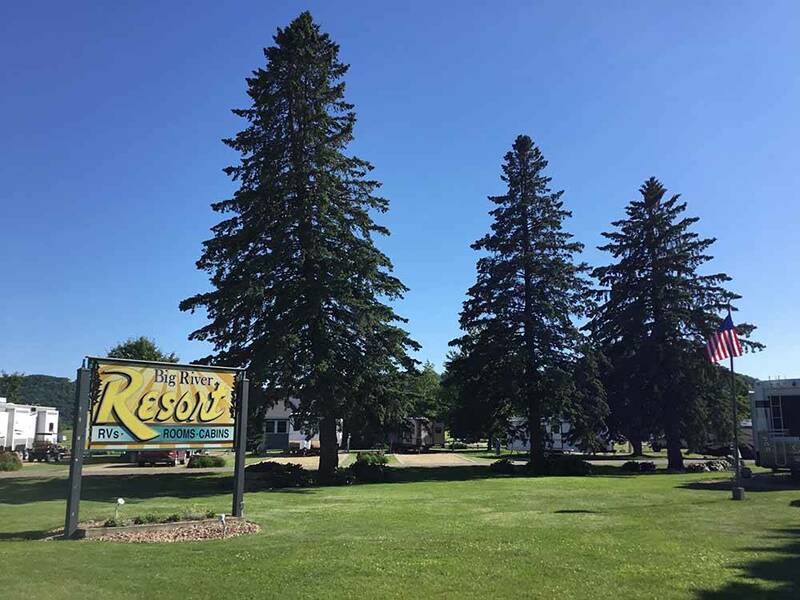 This RV resort is a sweet gem that met all of our picky expectations: super nice owners and fellow guests, fantastic bathrooms and laundry facility, well-spaced level sites, close to town and attractions. We would return over and over! Quaint resort, quiet, extremely nice restroom/shower facility. Check in was easy, very helpful, had a lot of info on the area. Would definitely recommend! Great place to stay. Well manicured sites with full hookups + cable tv jack. Shower building was always clean, roomy, private and well maintained. The owner gives out a packet of local places to see, eat, visit etc, with maps & even a coupon book for places in the area. We always have a great time in the Wabasha area and look forward to returning. One of the nicest parks I've stayed in this year. When we checked in, the lady at the counter was very nice and considerate as well as being very helpful with what is offered in the area, explaining where everything was located in the park and WIFI password. WIFI is the best I've had in an RV park. Lots are nice size, level gravel sites, cement patio with nice picnic tables surrounded by will kept grass. Bath rooms and showers are very clean. Wife really loved them. Cable excellent with a lots of channels. Only negative is, some of the sites all hookup are at the back of the site. If you have extra hose and water lines you'll not have an issue. We stayed in a 5th wheel and have made reservations to stay again. This was an unexpected gem. The lady at the desk was friendly, knowledgeable and efficient. The park is small, but the sites are reasonably spaced, level and the grounds well manicured. Power was excellent. WiFi was the best I've encountered in several years. We used the small laundry, the equipment looked new. I would not hesitate staying here again should I pass this way. We stayed 2 nights to visit the area. Nice open park, very clean, with a helpful staff. Gravel/dirt pads with adjacent grassy plot and picnic table. Super water pressure - needed a reducer. The washroom is immaculate, and appears brand new. The shower room was very spacious, plenty of wall hooks and a chair, and had great water pressure; would have given it a 10 were that available! Great area along the Mississippi river - walked over a mile to the grocery store; later, will walk to the post office on Main St.